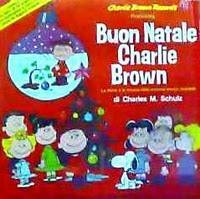 Some Italian-American notes about the man behind the music of Charlie Brown’s Christmas. It seemed right this Christmas to connect the dots among the creator of Peanuts, a cartoon celebrating its 60th anniversary, the man who whistled the bird calls at Disneyland's Tiki Room, and the city known for its crooked street and beatniks. When all the lines are drawn we have an image of Vince Guaraldi and his music, a sound that has become a ubiquitous part of Christmas in the USA. As others have said before, everyone knows the music, but few people know about the man who wrote and performed it. Vincent Anthony Guaraldi (July 17, 1928 – February 6, 1976) was born in the North Beach neighborhood of San Francisco and raised out in the Avenues, surrounded by an Italian American musical family, especially on his mother’s side. According to the pianist’s son Dave Guaraldi, Vince was adopted by Tony Guaraldi, after Vince’s mother, Cannella Guaraldi, neè Marcellino, split with his biological father, Vince Delaio (sp?). Guaraldi’s maternal grandfather hailed from Sicily and at least some part of his family emigrated first to New York before coming west. And although it was his mother who arranged for his piano lessons as a kid, it was his uncles, Joe, a violinst, and Muzzy, a singer, who introduced him to the world of professional music. Listen to Maurice “Muzzy” Marcellino with Ted Fiorito and The Debutantes. Muzzy, who achieved renown as a professional whistler, was especially influential to the young Guaraldi, according to son Dave, who intimated to me that Muzzy was “almost father-like” for Vince (phone conversation, December 23, 2010). Watch this clip of Muzzy Marcellino from the Lawrence Welk Show. That’s exactly what Vince did: after studying at San Francisco State University—and a stint in Korea—he quickly becamea part of the Bay Area’s vibrant live music scene. His performance credits are long and impressive. He was the first jazz booking at North Beach’s Hungry i, a club run by “Enrico” (Harry Charles) Banducci, an Italian American impresario born in Bakersfield. Banducci earned a reputation as a talent-spotter, and he booked dozens of influential new acts. Guaraldi also played at San Francisco’s venerable Black Hawk and the well-known Monterrey Jazz Festival. Guaraldi also performed and recorded with all kinds of serious jazz talents, including Bola Sete, Cal Tjader, Frank Rosolino, Conte Candoli, Art Pepper, and Jimmy Granelli (both Pepper and Granelli are also California Italian Americans, by the way). In 1965, Guaraldi performed the first Jazz Mass at San Francisco’s Grace Cathedral ( months before Duke Ellington’s more famous date at the California Street landmark), leading me to wonder if Guaraldi knew about the Beat Youth Masses in Italy of the same era. Given that he lived in the Bay Area in the 1960s, I’d like to know how Guaraldi’s musical style might have meshed with the local political culture. His last album, Alma-ville (1974), with such tracks as “Detained in San Ysidro,” point toward a politicized consciousness. It’s an awareness we can see more clearly in the various benefit concerts he played. For instance, in 1964, he gave a concert for 781 students arrested during free-speech demonstrations at the University of California, Berkeley; the show was set to be held on campus but was moved down the hill to the Finnish Hall after UC administrators put the kibosh on it. Posters at the University of California archives also have him headlining a benefit concert in Marin County for farmworkers, a “Latin Jam Farmworkers Benefit Concert.” Together these are important links to the greater story of Italian American progressive politics, a history that remains under-documented. But it is a little boy, a figure Umberto Eco describes as a universal, epic character, who made Guaraldi’s music a kind of soundtrack to American holiday celebrations. The story starts with a Guaraldi B side, “Cast Your Fate to the Wind,” which became a West Coast hit when a Sacramento radio station played it incessantly, leading to a Grammy in 1963. 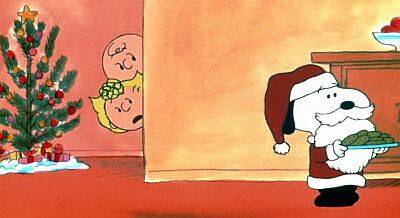 The unlikely success of the record also likely led to Lee Mendelson’s convincing Charles Schulz that it was perfect for a televised version of Charlie Brown. The details of this evolution can be traced with the help of Google, but they’re also set out in a recent documentary, The Anatomy of Vince Guaraldi (directed by Andrew Thomas and Toby Gleason), based in part on a TV show Ralph Gleason made in the 1960s. Jazz and popular culture scholar John Gennari, casually described Guaraldi’s more up-tempo Charlie Brown tunes as having a “kind of cool modern boogie-woogie” style (email communication, December 22, 2010). It seems that it’s just this tempo that hit the mark for millions. Mendelson has described the successful impact of Guaraldi’s sound coming from the way it is “both adult like and child like”—a succinct description that could also be used to characterize the Charlie Brown cartoons themselves (2009, radio interview). In fact, many have noted that for middle-America, Guaraldi’s music, experienced through Charlie Brown, was their first exposure to West Coast-style cool jazz. Although his Italian American background is usually just marked in passing, son Dave told me “he was a strong Italian in every way. Just look at him! No, seriously, he was Italian. Period.” He went on to talk about the fact that his father grew up during the Depression, taking note that San Francisco’s Italian side was probably more prominent than it is today. Dave concluded by remarking on the challenges of raising a child in an extended family without a lot of money: “he was raised with a lot of love….and, with his music he gives people that same love” (phone conversation, December 23, 2010). Elsewhere Guaraldi’s Italianness has been anecdotally associated with his temper. Doug Ramsey, a jazz critic talked about his personality in the radio production It’s Jazz Charlie Brown: The Vince Guaraldi Story (2009): Guaraldi was“a very aware person and engaging in conversation and had a kind of, if this makes any sense, an Italian American way of expressing himself that has a lot in common, maybe, with people on The Sopranos”. Thinking about McGee’s take on Guaraldi, I'm left asking questions. What does it mean to have an Italian American Christmas soundscape, the kind that gets embraced nationally, if not globally, as representative of that imagined place called America? What kind of America do Italian American artists and entertainers like Sinatra and Guaraldi stand for? And for whom? What would the rest of an imagined Italian-American-imbued Christmas be like? What shape? What smell? What taste? What look? Coda: Guaraldi died tragically young and is buried at the Holy Cross Cemetery in Colma—the oldest cemetery in a city that boasts seventeen separate burial grounds and where other notable Italian Americans are also interred: Beniamino Bufano, Joe DiMaggio, A.P. Giannini, and George Moscone.